This Nightforce Competition was designed for just that… competition. It was purpose built to be light weight without compromising the integrity and quality that makes up a Nightforce scope. 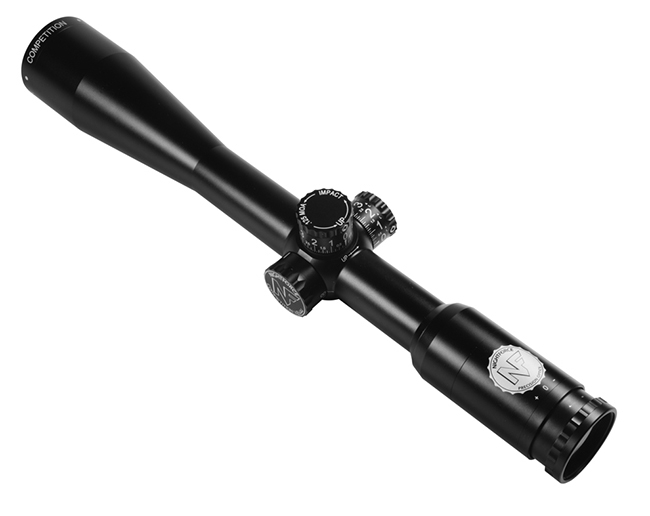 The most notable change in this scope from other Nightforce options is its fixed 42x magnification. This allows it to have the highest quality glass and eliminates a large portion of weight do to the removal of the extra moving parts. It features exposed with easy to read large font and 10 MOA per revolution turrets and a side parallax from 10.9 yards to infinity. This is the scope you have been looking for if you are a competition shooter who demands the highest of quality in a light weight package. Field of View:2.87 ft at 100 yd.